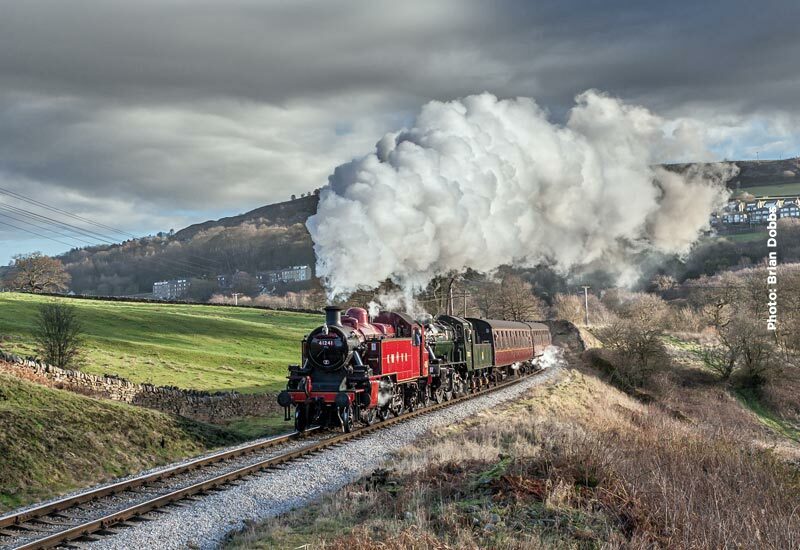 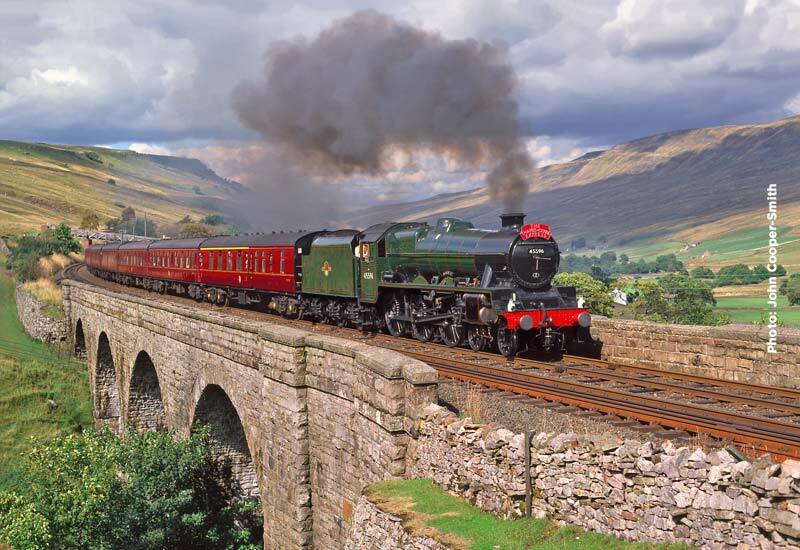 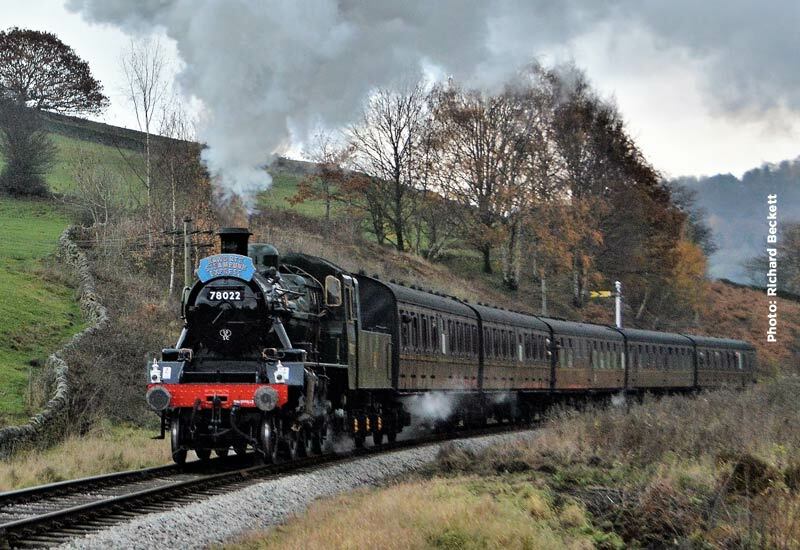 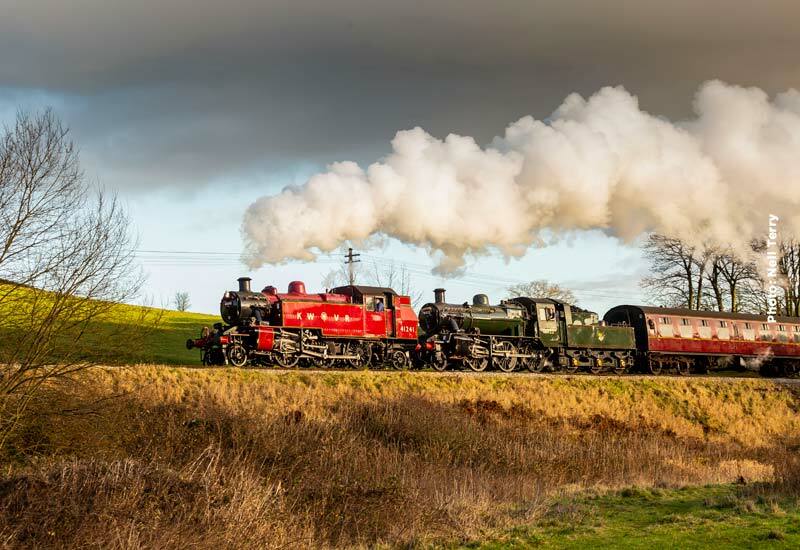 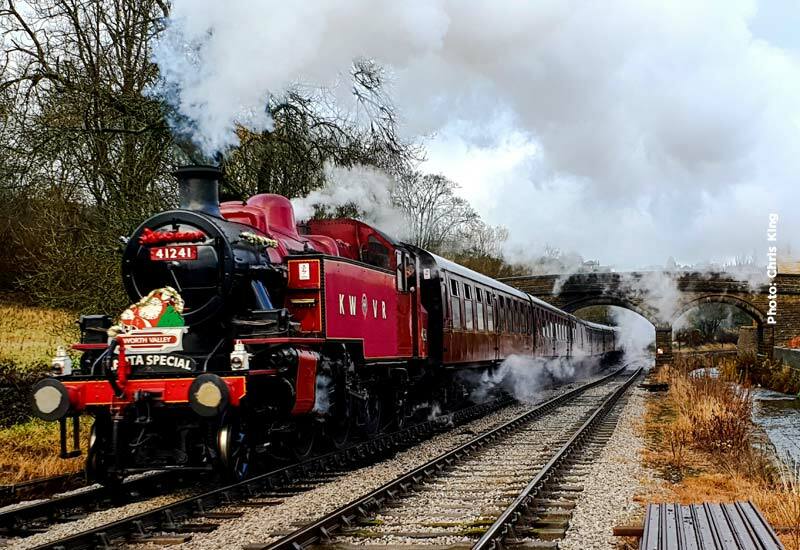 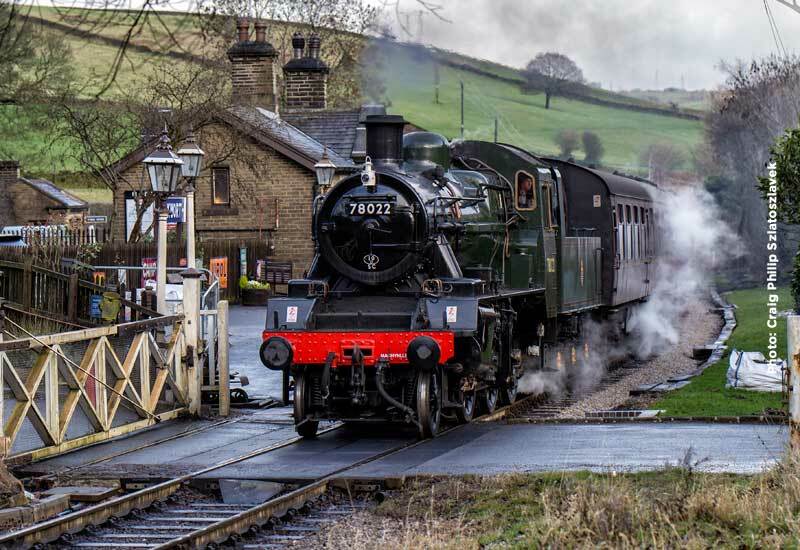 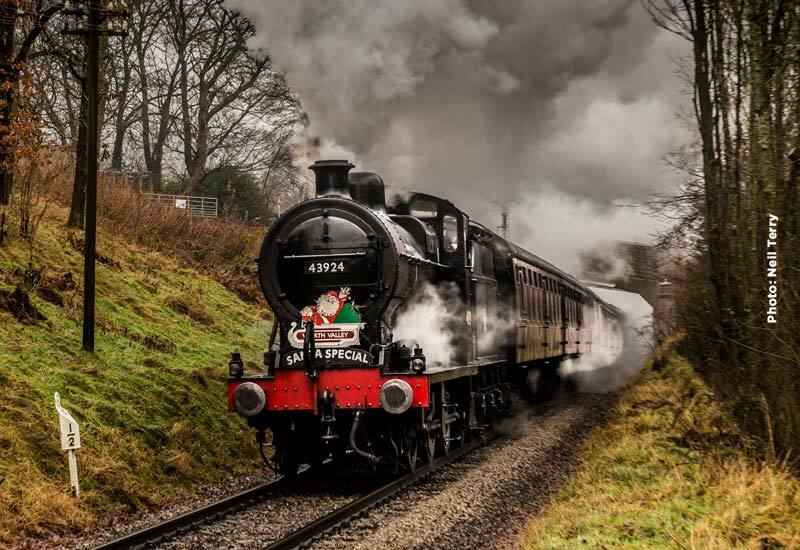 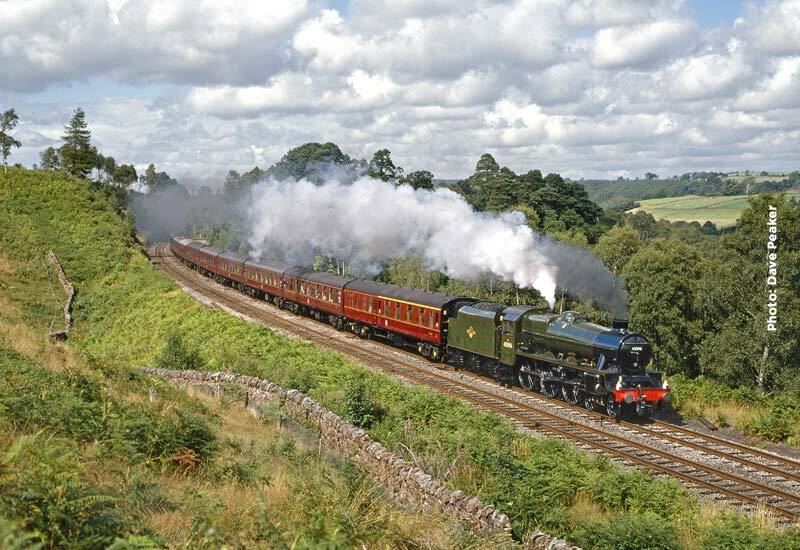 The first Santa Steam Specials run this weekend, when normal steam passenger services between now and Christmas are suspended and the pre-booked only Santa Steam Specials take centre stage. 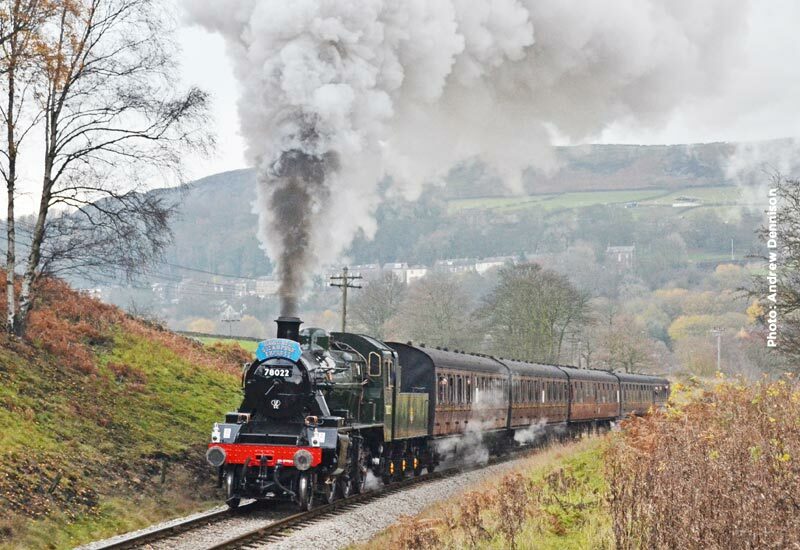 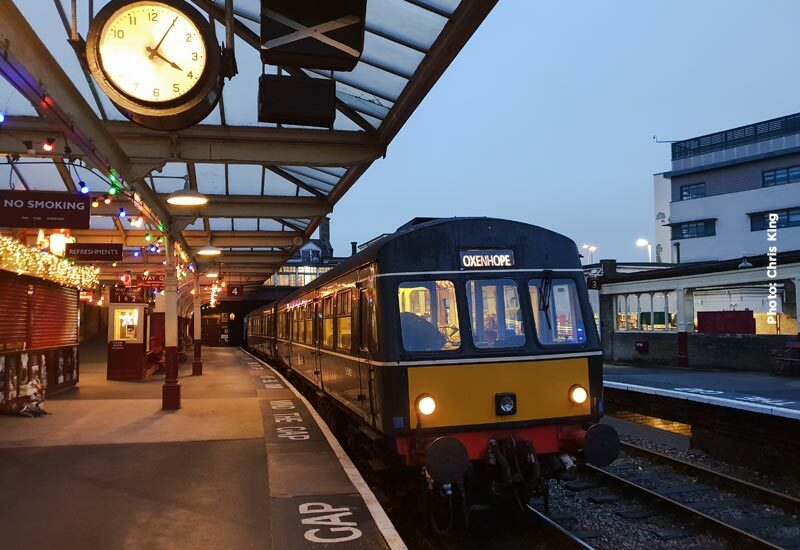 For visitors without a Santa Steam Special ticket wishing to travel along the Worth Valley a diesel railcar service operates throughout the day, starting at 09.00, giving passengers a new perspective through the forward facing windows on our diesel railcars. 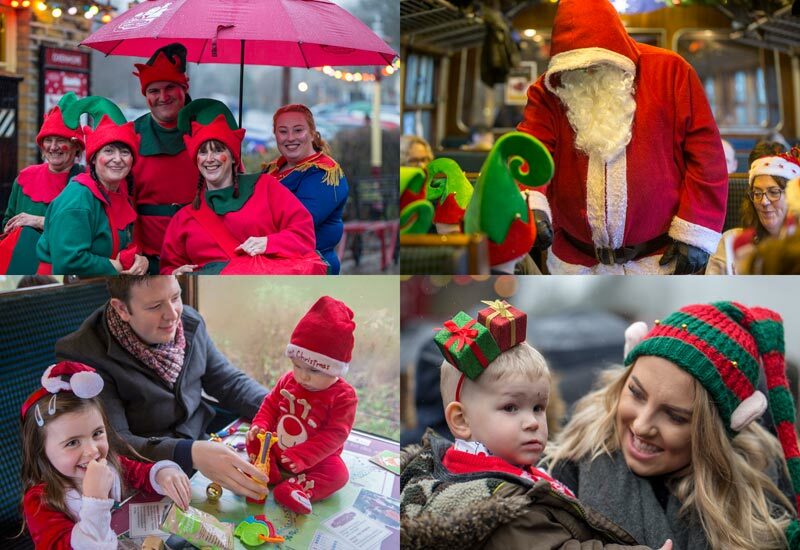 Our volunteers have been working very hard decorating the carriages and stations and with trains full to capacity, it is fingers crossed that we have fair weather to greet all our little visitors to Father Christmas. 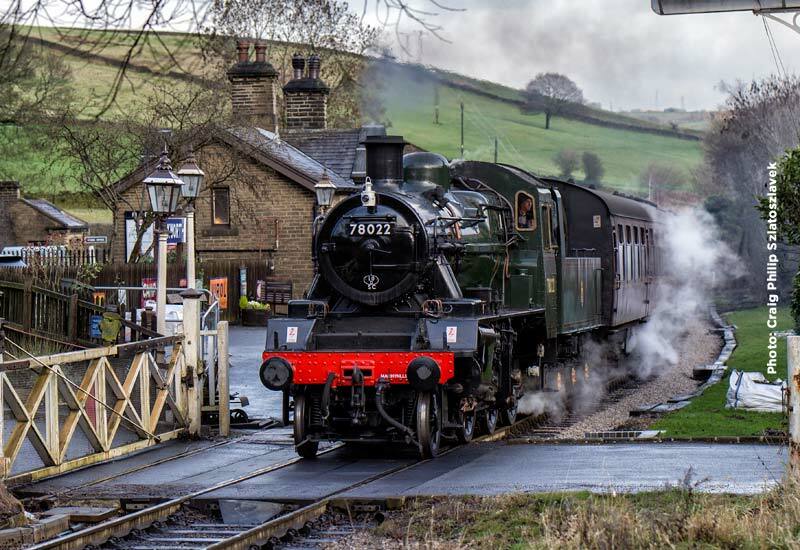 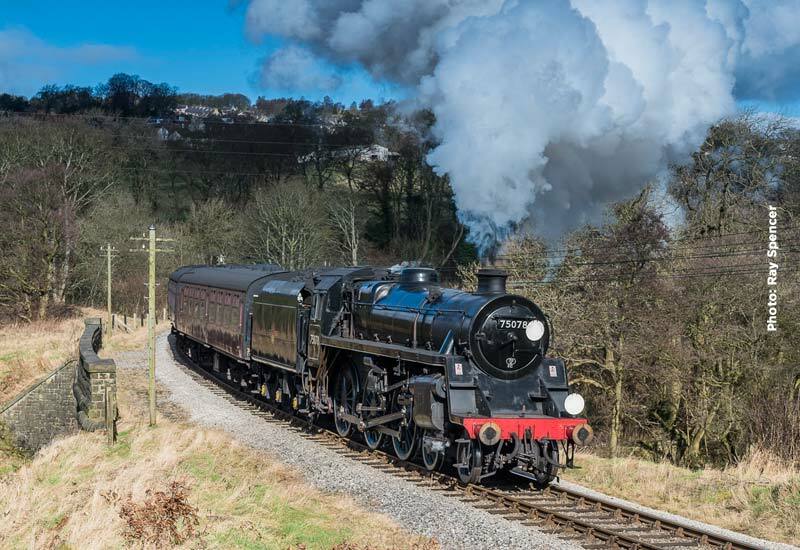 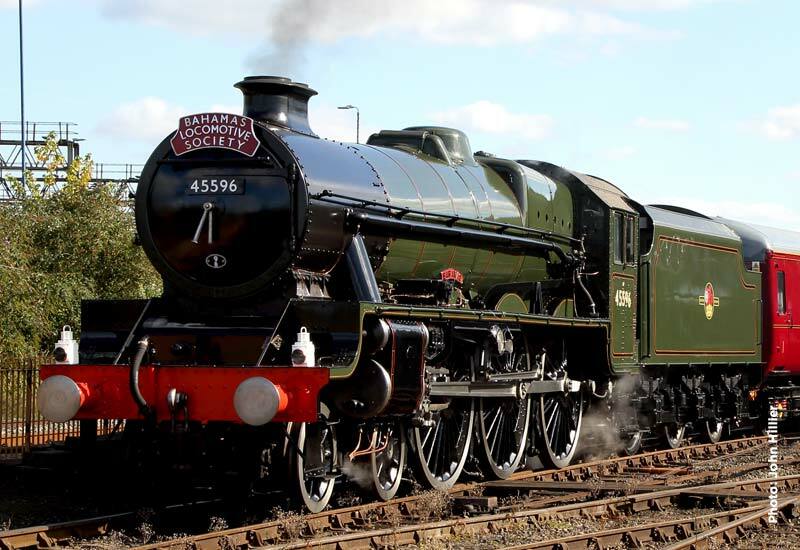 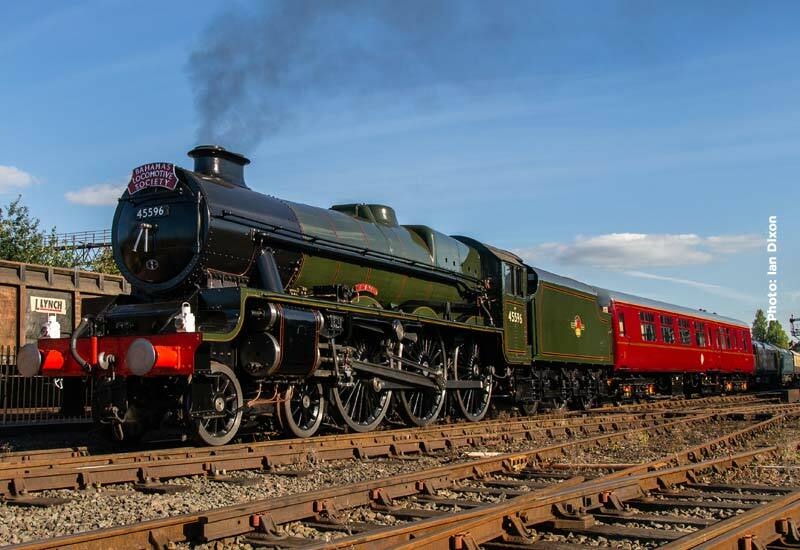 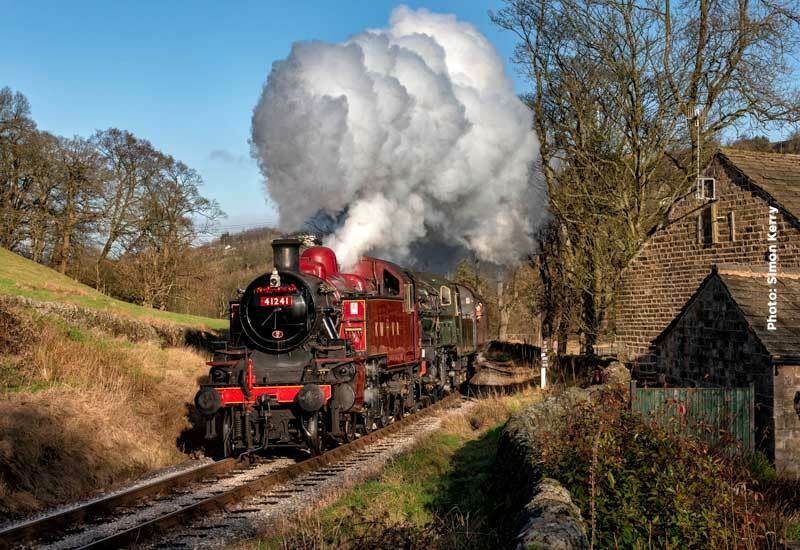 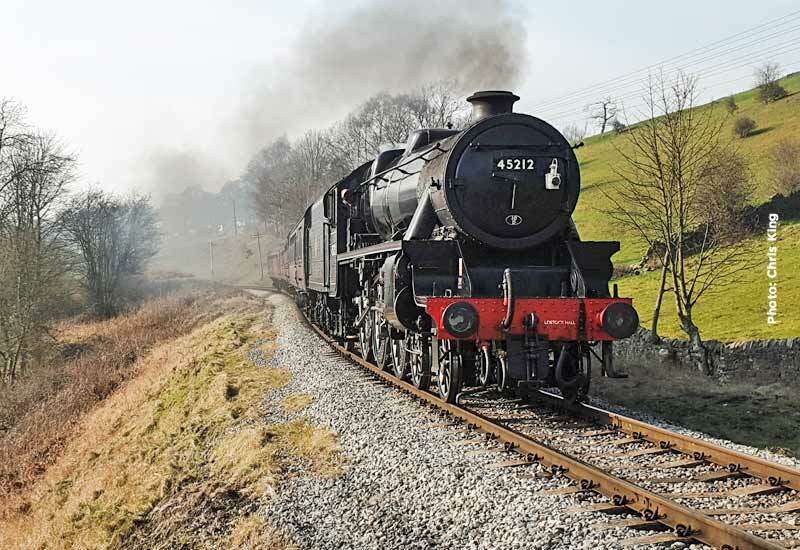 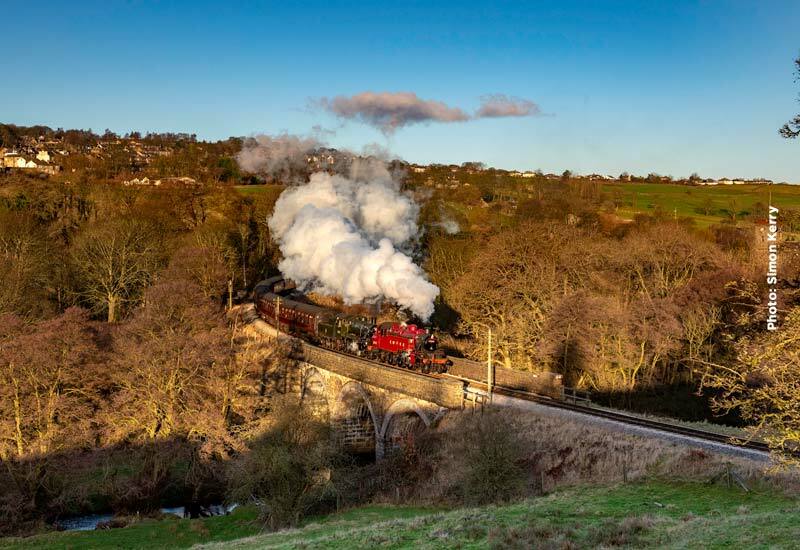 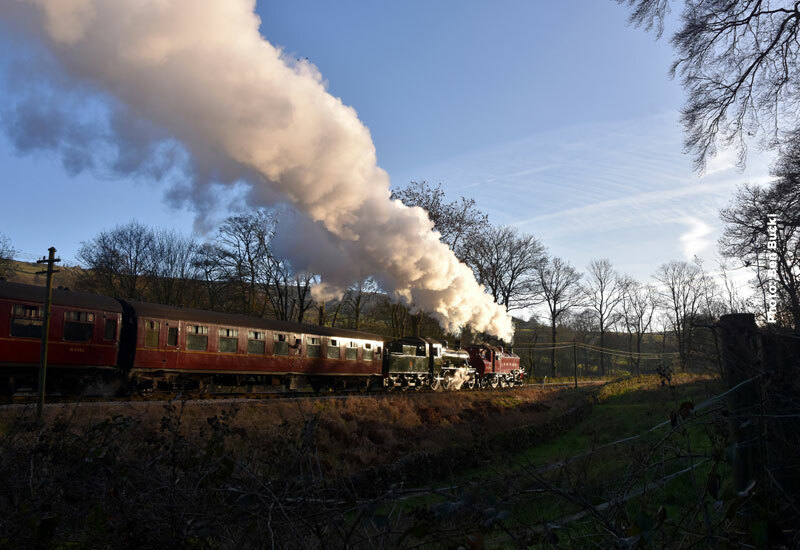 Throughout the Santa season, trains will have a combination of locomotives, with steam locomotives operating on the south, Oxenhope end of the train, assisted by one of our mainline diesel locomotives at the Keighley end. 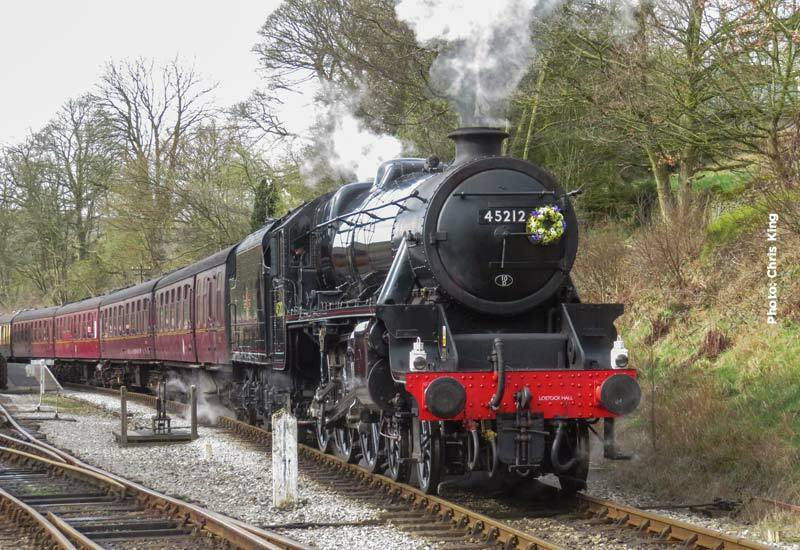 Steam motive power will be provided by BR Ivatt 2-6-2T 41241, resplendent in its festive Crimson Lake open day livery. 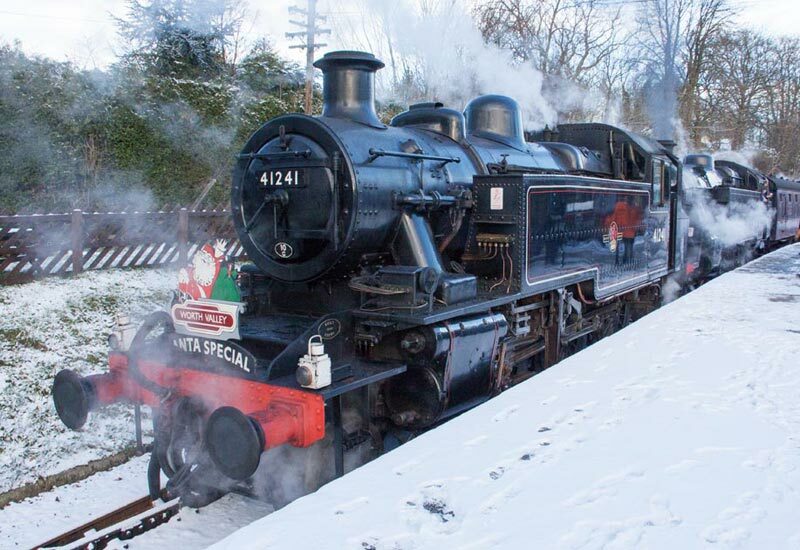 41241 is seen below in BR black livery, when working a Santa Steam Special on a festive snowy 27th November 2010. 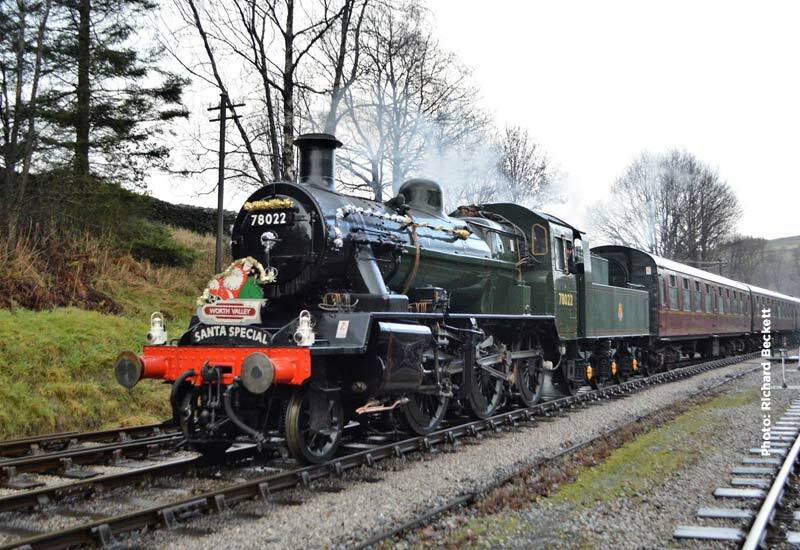 This weekend the diesel locomotive will be Class 20, 20 031 on both days. 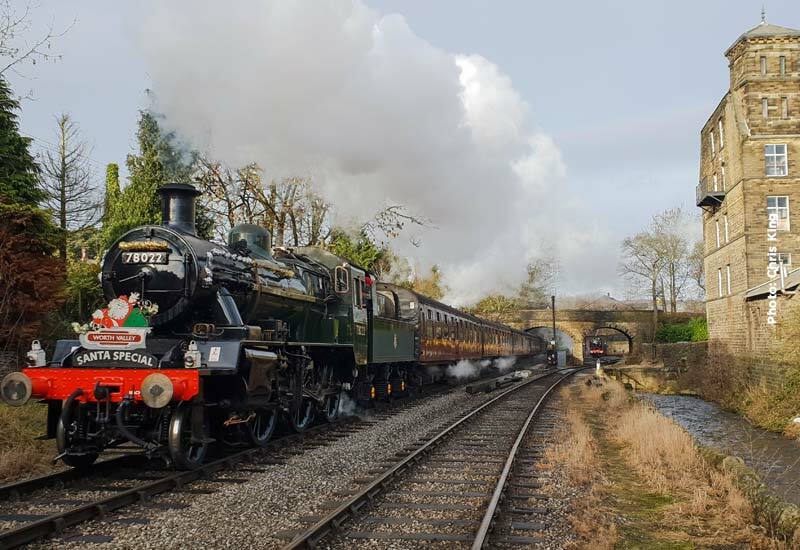 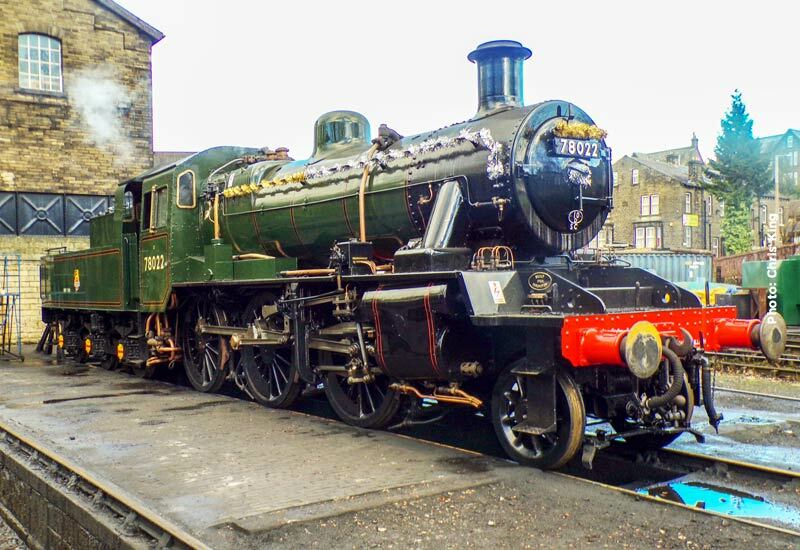 On standby this weekend will be BR Class 2 2-6-0 78022, seen below on its triumphant return to service last Saturday, 24th November. 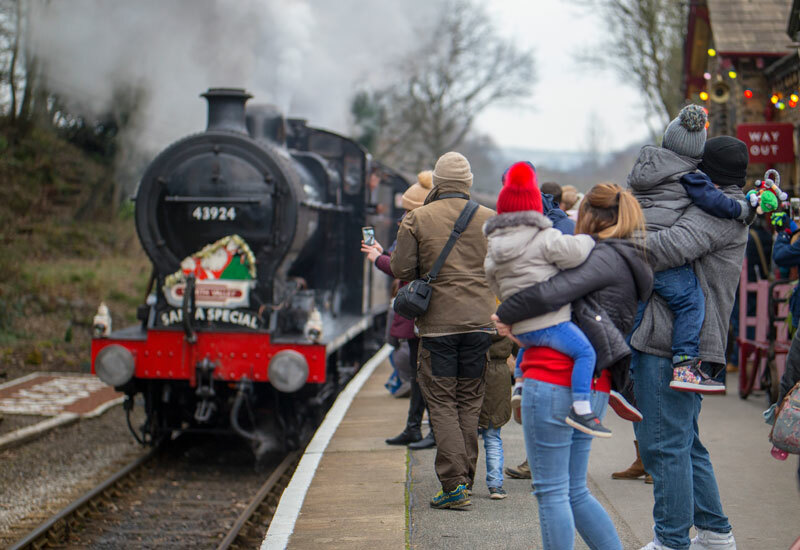 Passengers without Santa tickets can travel on the diesel railcar service, buying a ticket at the station booking halls but those travelling on the Santa Steam Special can extend their enjoyment of the Railway free of charge by taking an additional ride in the railcar. 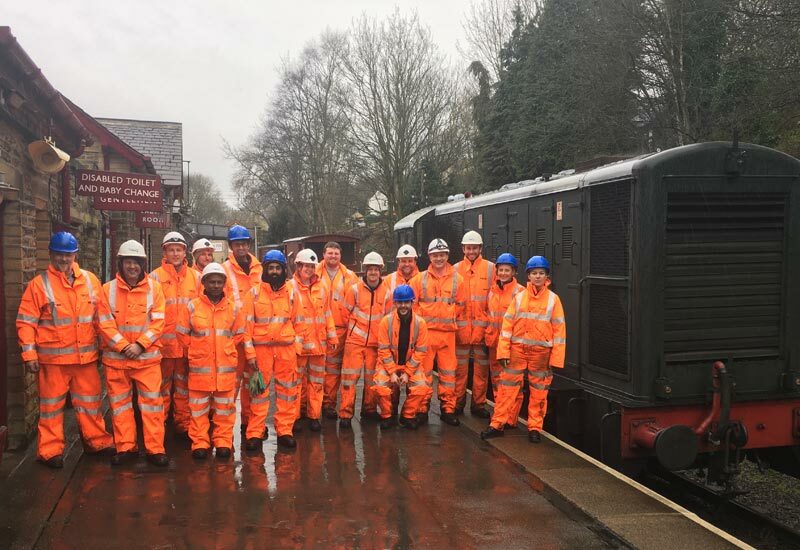 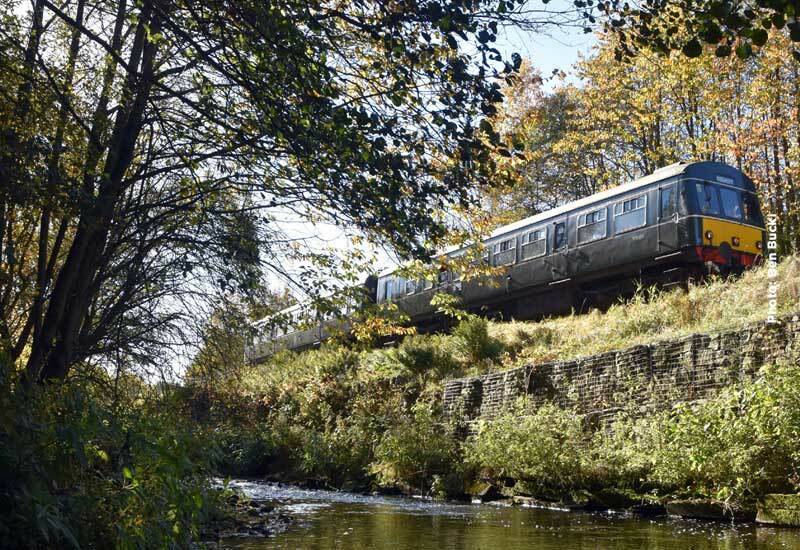 The diesel service will be in the hands of the Class 101 diesel multiple unit. 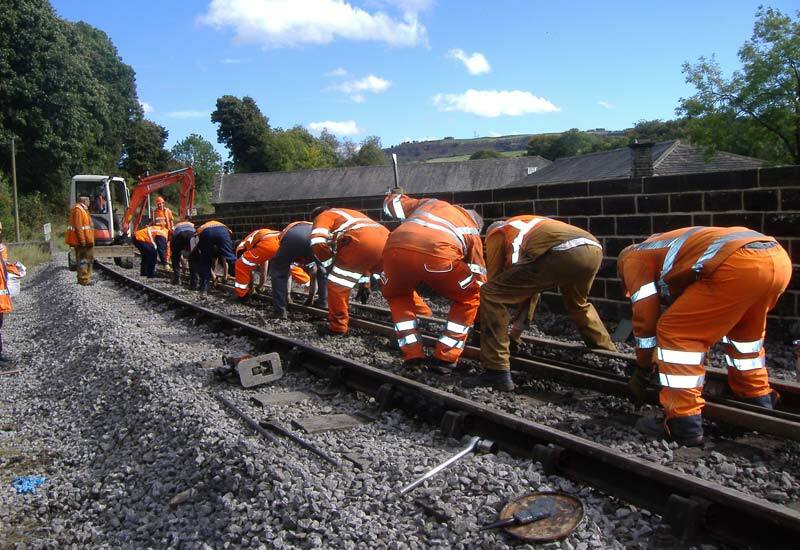 To view or download the diesel railcar timetables in operation this weekend, please click HERE.